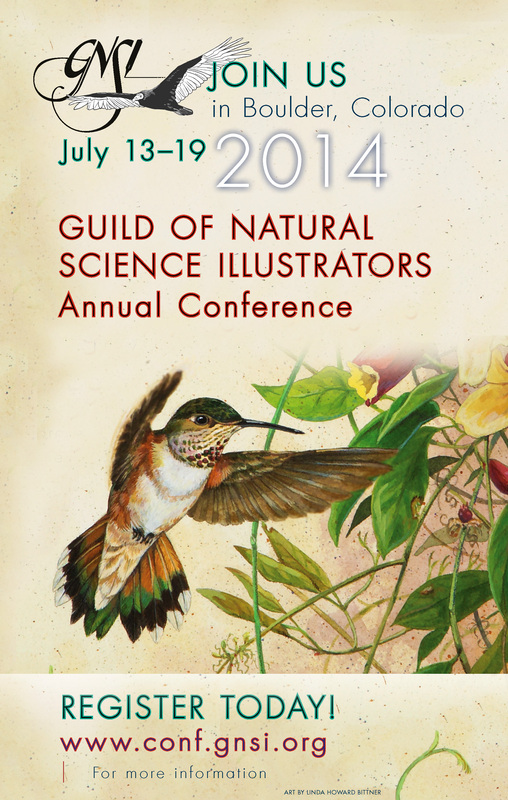 Many BAGSC and ASBA members also belong to The Guild of Natural Science Illustrators (GNSI). If you’ve wanted to attend a GNSI Conference, or learn more about this wonderful organization, this is a great year to do so. The GNSI Conference will be held in Boulder, Colorado this year in July and will include a field trip to the Denver Botanical Gardens, as well as presentations, workshops and field trips important to botanical artists. GNSI 2014 Conference Registration Is Open and Early Bird Discounts go until the end of May! Join the GNSI in Boulder, where the mountains meet the plains! Come and enjoy a one of a kind experience and enjoy the camaraderie of fellow illustrators in a beautiful setting. The Conference is filled with presentations, workshops and field trips designed to inspire. Some concentrate on technique, with experts in drawing, painting, scratchboard, block printing, Photoshop, Illustrator, and digital devices sharing their expertise. Others focus on the gritty details of making a living in this challenging, but exciting career. With so many choices, participants can customize their learning experience under the inspirational setting of Boulder’s Flatirons and modern Colorado University campus. Register before May 30th and SAVE $50 on Full Registration! Make Your Own Sketchbook, Then Use It! Hope to see you in Boulder in July!